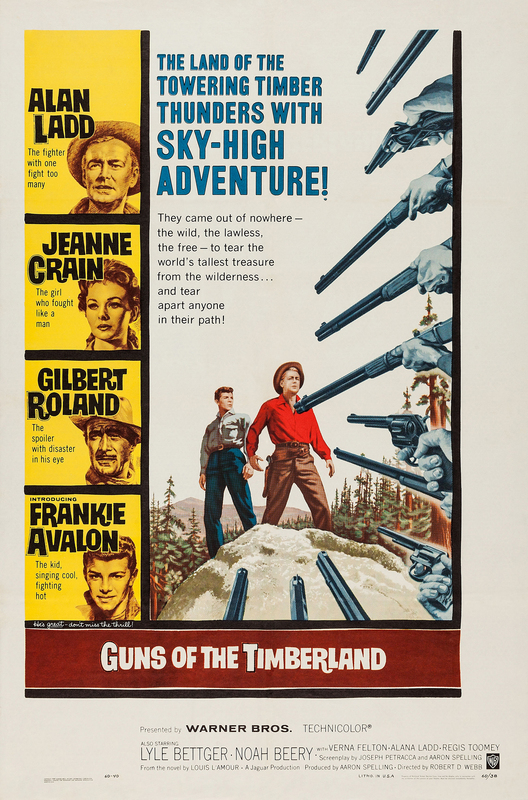 GUNS OF THE TIMBERLAND kicks off with a robustly goofy “Song Of The Lumberjacks”, signalling this 1960 wood-western as flabby and ridiculous matinee fare. A tired and puffy Alan Ladd supposedly he-bulls it over a rowdy crew of loggers, including Gilbert Roland, best-buddy-gone-bad. 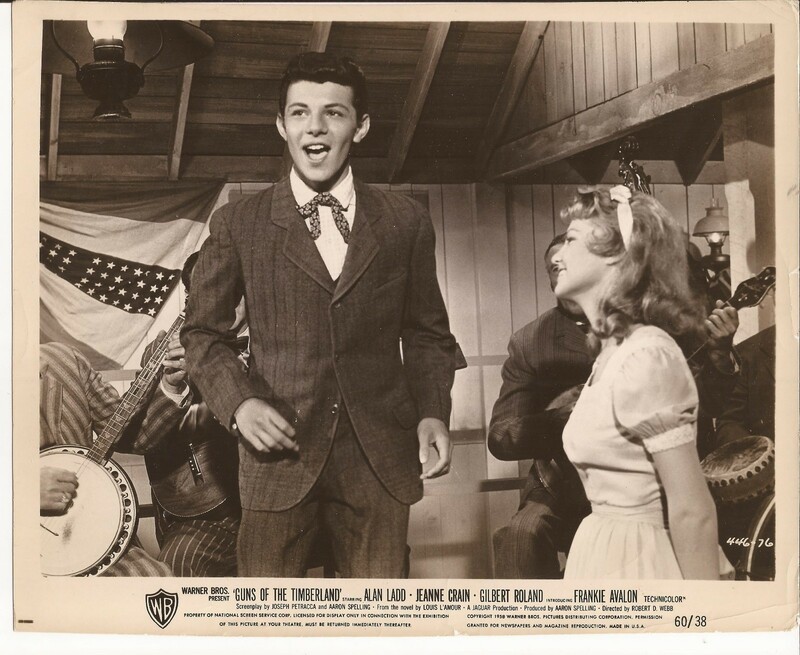 Local townfolk, led by Jeanne Crain, oppose the tree defilers and fightin’ ensues, with Frankie Avalon getting mauled by a dynamite blast—something that would never happen to Fabian. 91 minutes, directed by Robert D. Webb, featuring Lyle Bettger, Noah Beery Jr., Verna Felton, Alana Ladd, Regis Toomey, Johnny Seven and Henry Kulky. Frankie gets to belt out “Gee Whiz Willikins Golly Gee”, which somehow did not become a big hit. The film, though, thanks mainly to Ladd’s loyal fan base, managed to gross around $2,000,000.